Nice job, Maxine. 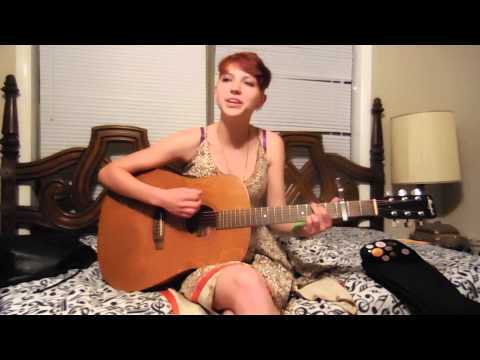 Beautiful voice and great acoustic piece! I enjoyed her guitar playing very much & her dedication to her music is obvious! I look forward to seeing more of her videos. 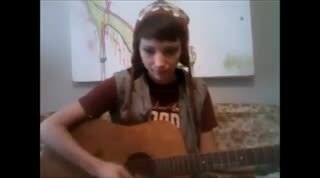 Maxine is a dedicated and talented young artist who is committed to music. Her passion and hard work are unparalleled. I fully support anything that she sets her mind to doing. She is awesome! Seen her perform in Hot Springs and was blown away by her voice! Clearly dedicated, committed to what she does. I'm very impressed. What's not to like? Hey this is Maxine's mom- Isn't she amazing?? Please don't forget to RATE the videos ALL of them- Thanks! 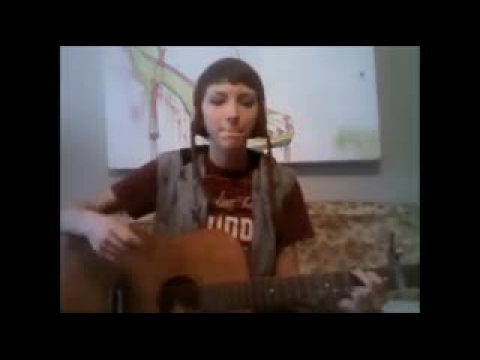 !This one I gave a "10"
Maxine Meyers is a multi-talented young singer-songwriter who has been taking Hot Springs, Arkansas by storm since she was 15! Maxine writes and sings her own songs with a soulful, folk-rock feel. Her debut album, "Max & Me", released December 3rd, 2013 is a DIY project with 12 tracks, of which 11 are original compositions and one is a Traditional Mexican folk song paying homage to her roots. When performing live, her covers have included the Eagles, Jewel, Natasha Bedingfield, Boy George, Elvis, Beatles, Of Monsters & Men, Anna Nalik and more. 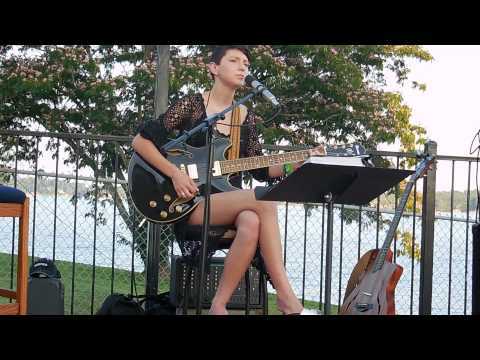 Now only 16, Maxine is already a regular performer at several venues around Hot Springs, AR, including Adair Faire every weekend, in addition to hosting an Open Mic Show at the Star Gallery downtown. She has also been featured at Maxine's on Wednesday Night Open Mic Poetry twice, as well as performing at a local gallery for the monthly Gallery Walk. 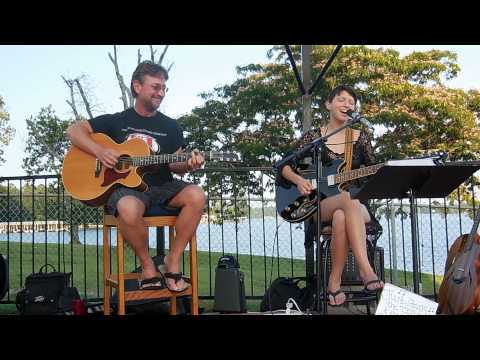 Out of town venues where Maxine has played include Downtown Music and Vino's in Little Rock, AR, Game Zone Alpha in Jacksonville, AR as well as the Commodore Grill in Nashville, TN and the Standpipe Coffeehouse in Lufkin, TX. Festivals Include Fordyce on the Cottonbelt in Fordyce, AR- Summerfest on Park Ave. in Hot Springs, AR- and the K97 Rock Festival in Camden, AR. Maxine has opened for Kevin Seconds and Kepi Ghoulie, of the legendary punk band, 7 Seconds and The Groovy Ghoulies at Low Key Arts as well as J.Ryan, a top 40 finalist from the X-Factor. A versatile artist, Maxine has appeared as John Lennon of the Beatles for the Hot Springs Documentary Film Festival opening night ceremonies, and played several filmmaker parties at the MOCA, Vintage Emporium as well as house concerts at the Rix Estate, and Holiday House. Born May 17, 1998 and the youngest child of five, Maxine is homeschooled and on track to graduate in 2014. She has always enjoyed singing from a very young age. Indeed, her earliest memories are riding around in the car with her family singing along to “All Star” by Smashmouth. Later as a regular at a local Karaoke night in Jacksonville, FL at the age of 8, she became a favorite of the DJ “Ugly Ed”, who made a special CD of her favorite songs to have at the ready. She currently lives with her mother and brother in the Hot Springs National Park in Arkansas, though she is raising funds for an RV to allow her to get out on the road. Maxine's first concert was a charitable benefit for an Autism Service Dog for her brother, Sidney. She is interested in causes which support autism, and siblings of disabled kids, service dogs and animal rescue as well as cosmetology and art.